In exchange for basically playing a video game for 10-20 minutes a day (or longer, if you wish), you can more or less upload data into your brain, and Anki will take care of getting it deeper and deeper into your long-term memory. 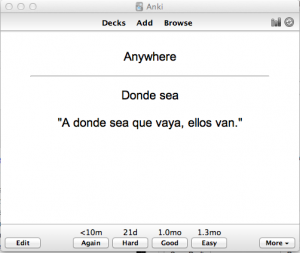 Use Anki to put an entire language inside your brain, and your brain will put it together into a fluent language. It’s terrifically fun. 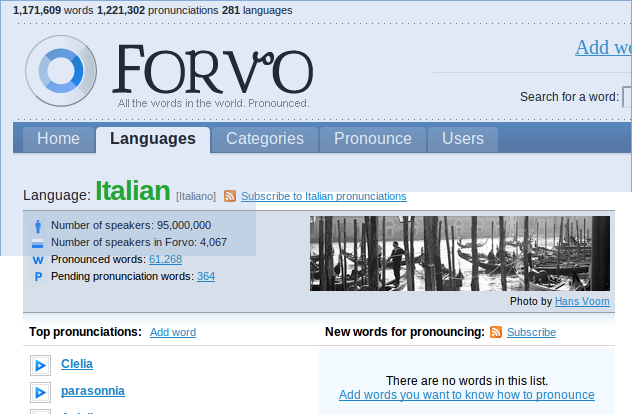 With Forvo you can hear how many words is pronounced easily. Just ask and a native speaker will say it for you. RhinoSpike is an online language learning community tool that lets users around the globe connect and exchange foreign language audio files. Get any foreign language text read aloud for you by a native speaker. Here you can focus on speaking and listening. Every language learner needs to write sentences at some point. This service gives you free corrections on your written sentences. This can be useful for any time you are not sure how sentences should be written. 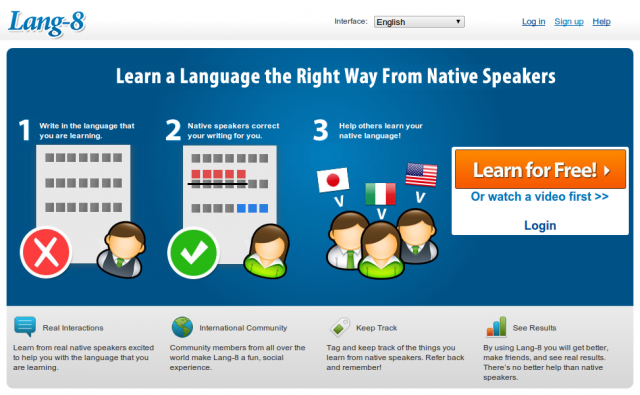 Thi site allows you to set up Skype conversation exchanges with native English speakers who are learning your language. 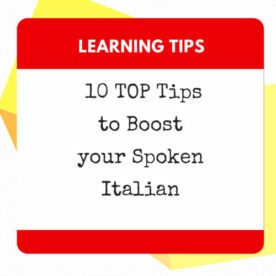 It’s perfect for the number one rule of language-learning – start speaking every day. This is another site offering the same conversation swapping as My Language Exchange. 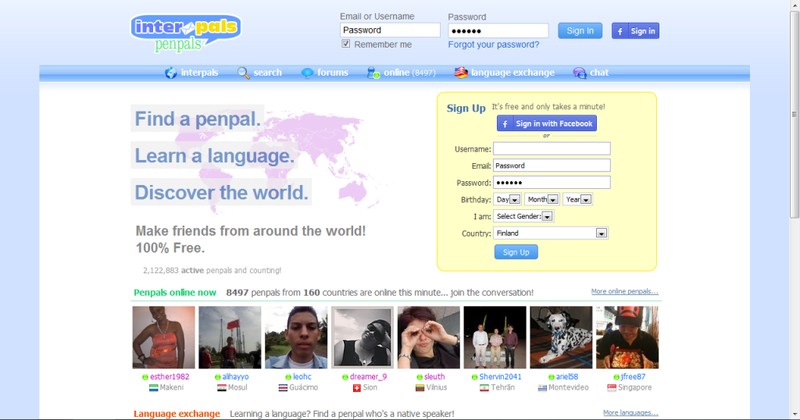 Meet people, make new friends online and find free pen pals from around the world on the top friendship and language learning site. 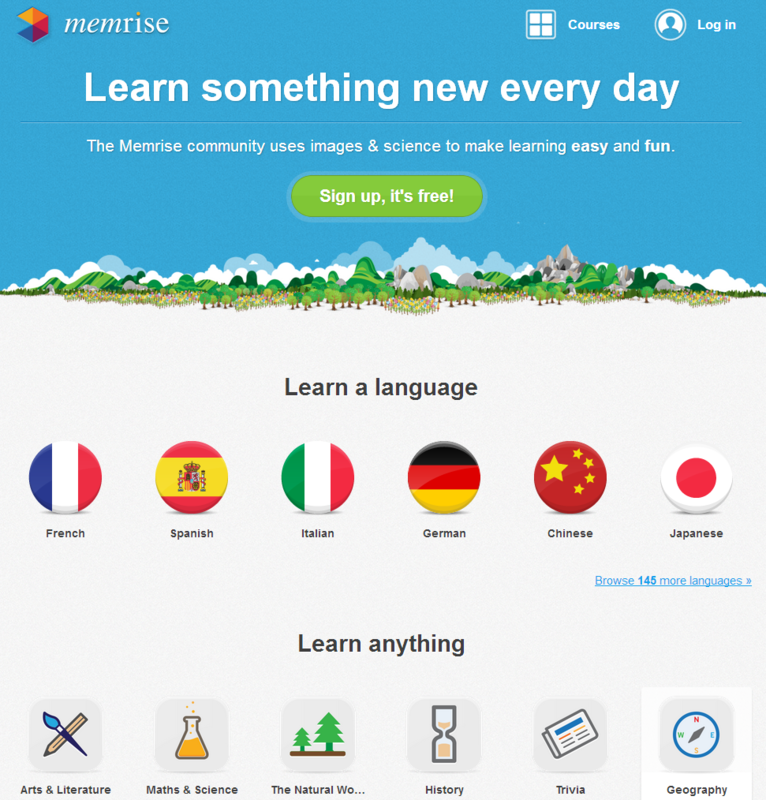 Basically, Memrise is a community-driven flashcard site, with some neat features. For one it supports audio, images, and mnemonics. Whereas with many flashcard programs you sit passively and just click around, Memrise offers you more options. 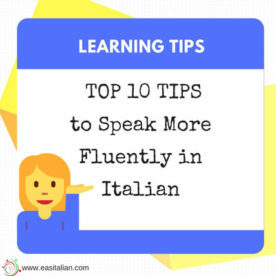 You begin with seeing the word for the first time, and then it cycles between multiple choice cards and typing the word in the target language. 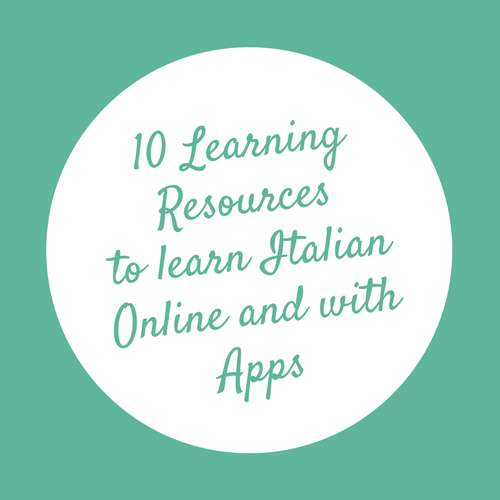 This excellent app/site give you extra mnemonics and tricks to help you keep Italian words in your mind for good. It works well in coordination with certain tests and also has collections of words by category and frequency. 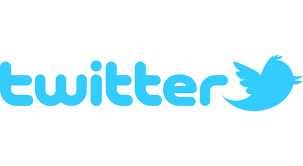 You can see the words, hear them spoken, see images to illustrate more. Read your favorite web pages, translate the words you don’t know, and we’ll generate flashcards to help you remember. 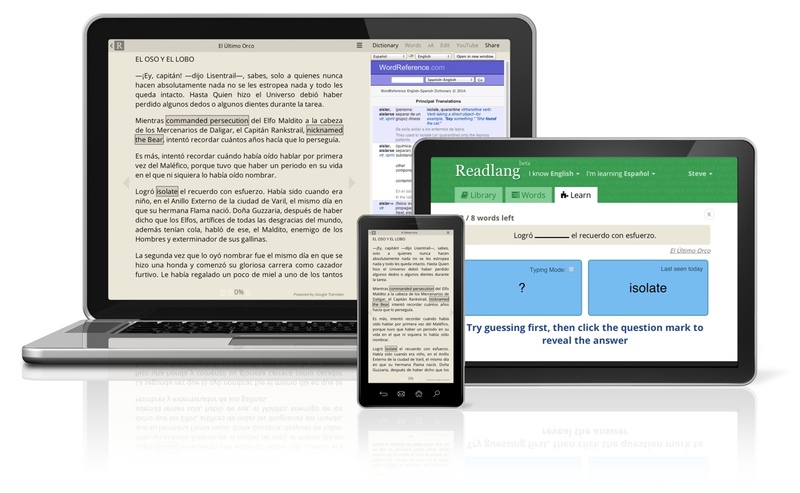 Readlang Helps You Learn a Foreign Language as You Surf the Web. 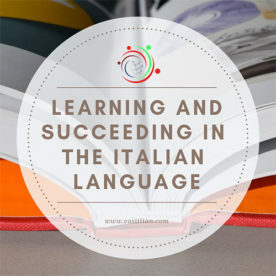 The most effective way to learn a foreign language is to immerse yourself as much as possible in it. Reading is a web app and Chrome extension that helps you learn by translating websites and creating flashcards and word lists for you. In the web app, you can paste in text or upload a book or article in the language you’re studying. In Readlang’s minimalist reader, you can then click on words or phrases you don’t know to translate them back into English or your native language. There’s also a selection of public texts and videos shared by other Readlang users you could use to study from, with filters for difficulty level and word length. Perhaps the most helpful parts of Readlang are the word list and flashcard features. The app keeps track of the phrases you’ve translated and creates flashcards (with spaced repetition algorithm) for you to practice with. ReadLang is 100% the best thing for intermediate learners. Flashcards Deluxe is easy to use, yet powerful flashcard app which you can use to study just about anything you want. If you want to use an existing deck that someone has already made, you can search Quizlet’s huge library from within the app. This app also has its own smaller “Shared Library” which you can search and download from. You can use this App on IOS devices instead of Anki (that you have to pay).